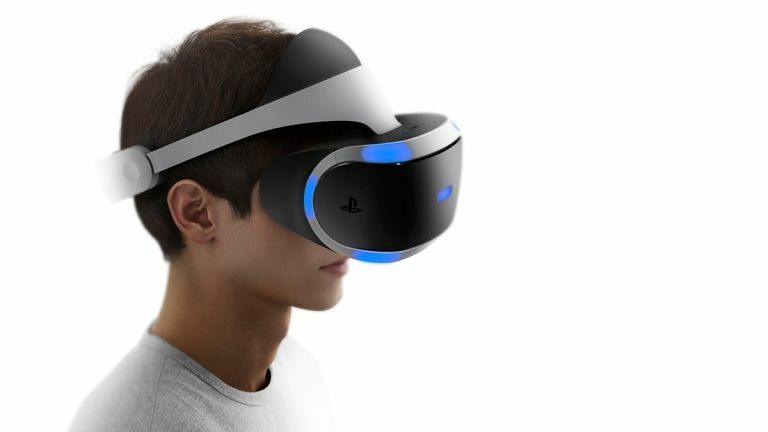 So Sony has finally taken the wraps off its VR headset and, while the specifications are nothing to really write home about, our feeling here at T3 Towers is that PlayStation VR is a fine and solid product. It delivers a VR platform that is clearly targeted at the mainstream and, while not bringing the HTC Vive's Apple-style premium VR experience, will help bring this new era of virtual reality to a lot of people. The fact that Sony already has a very established gaming ecosystem to lean on too means that it could be the affordable, mainstream VR choice of 2016. After years of development and previews, Sony has announced the final price for the PlayStation VR headset, as well as a release date. PlayStation VR will cost $399 (£349)and will launch in October 2016. The news, which was delivered at the company's event at this year's Game Developers Conference, means that we now have a price for all three front runners in the current VR war, with the Oculus Rift starting at $599 and the HTC Vive at $799. Obviously, the PlaySation VR headset is dependent on you also owning a PlayStation 4, which itself is a sizeable outlay. Specifications for the headset were also confirmed in the address, with Sony revealing that PlayStation VR boasts a 5.7-inch OLED screen, 1920x1080 resolution, FOV of 100 degrees, maximum refresh rate of 120 Hz, 360-degree tracking capabilitiy and a latency of less than 18ms. A demo reel of compatible games was also shown off, which included Psychonauts and Driveclub, as well as something called Playroom VR, which is a collection of six socially-orientated games created by Sony's own Japan Studio that will come free with the headset. As expected you will be able to use both the DualShock 4 and PS Move controllers with PlayStation VR. No new big gaming titles were confirmed for the platform, even though things like Uncharted 4 were put up on screen alongside pictures of the headset. A version of Star Wars Battlefront was confirmed though as being in the works and Sony has stated that it expects 50 games to be released for the system by the end of 2016. Maybe the chaps at Sony took a look at T3's feature on the top 10 games that would be amazing in VR.